Tim’s Bobcat while hunting with a Shotgun! 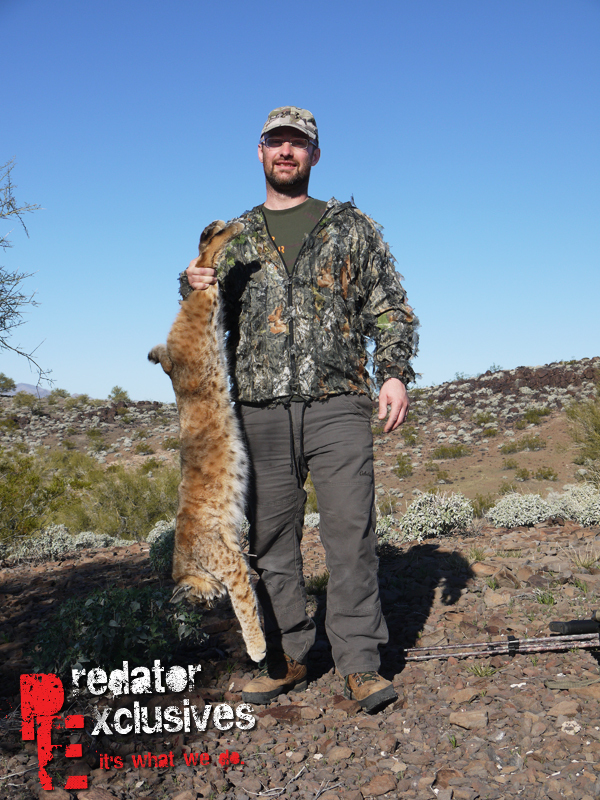 Watch as Tim Yost gets an opportunity at his first ever bobcat while predator hunting with us in Arizona! Percy with his Arizona Bobcat! Bobcat hunting is one of the most rewarding & challenging predator hunts you can take on. Many novice predator hunters will go decades & perhaps an entire hunting career without ever calling in a bobcat. It’s a huge accomplishment to take a bobcat that has come to the call, especially during the daylight. 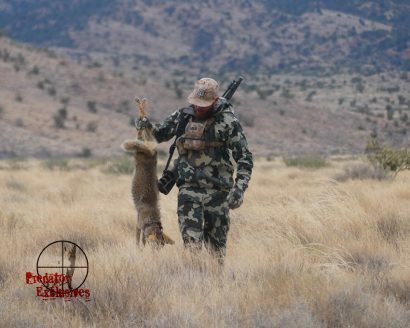 Most Bobcat Hunting Outfitters use hounds or hunt them at night. These 2 bobcat hunting tactics offer challenges in themselves, but nothing beats seeing a big old tom bobcat approach the call during the middle of the day. Calling a bobcat in during daylight hours is simply a surreal feeling & huge hunting accomplishment. 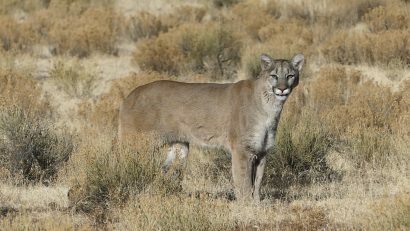 The perception has been established that calling bobcats in during the middle of the day is almost impossible, but nothing could be further from the truth, if we are talking about bobcat hunting. We strive to put the hunters who book a bobcat guided hunt with us, in position to witness a bobcat approaching the call during the middle of the day.